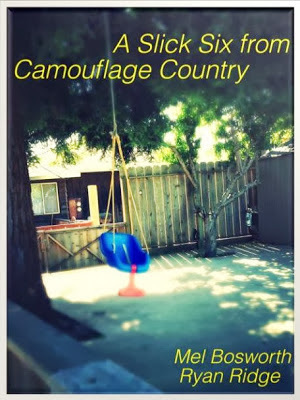 Happy June, and tremendous thanks to the outstanding folks at Unmanned Press for taking on A Slick Six from Camouflage Country, the collaborative project of Ryan Ridge and myself. Thanks also to Jeanne for orchestrating the accompanying interview, and for orchestrating in general. She's damn good.